One of COUM Transmissions' key members, Foxtrot Echo, heads up an engaging bill of COUM Flakes at Cafe Oto tomorrow (Friday 31 March), along with fellow member RoboRay, as well as Jason Williams and YATS. One of COUM's concepts was to have 'chapters' across the country, with Echo's activities in Brighton along with RoboRay, designated as COUM Flakes. They are set to perform pieces released by the two on a 1973 COUM Flakes tape, championed by John Peel on his 'Top Gear' Radio 1 show, for the first time since the 1970s. Assistance on the night comes from YATS and Jason Williams, as well as light projections and effects. 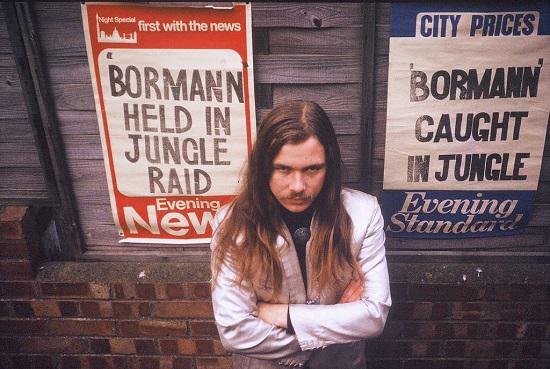 The first half of the show takes the form of the three pieces from the 1973 tape, the minimalistic, rhythmic 'Pulsar', the impressionistic sound picture 'The Rack', and 'Bormann Of The Jungle', a somewhat prescient satire on fake news. The second half of the show is a new piece titled 'STOP', an exploration of 'technological and consumerist bedlam we find ourselves in', with YATS and Williams providing their own interpretations of the theme. In true COUM style, much of the show will be improvised. Tickets are available between £6 and £10. They can be purchased here, along with all information.